Chris Cardona's presence at a Siġġiewi bar frequented by at least one of the suspects in journalist Daphne Caruana Galizia's murder has been flagged to the inquiring magistrate, family members of the journalist have confirmed. According to two witnesses, approached separately by journalists and interviewed by members of the 'Daphne Project', the Economy Minister was seen drinking with one of the murder suspects at the bar. Dr Cardona was described as a regular visitor to the bar on weekends. Brothers George and Alfred Degiorgio stand accused of Ms Caruana Galizia’s assassination, along with Vincent Muscat. The men deny the charges. 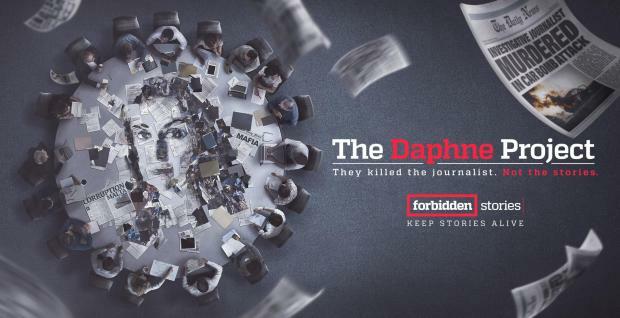 Contacted by the 'Daphne Project', an international collaborative journalism project including Times of Malta, the minister said he "does not recall" having any discussions with any of the three individuals accused of carrying out the car bombing. 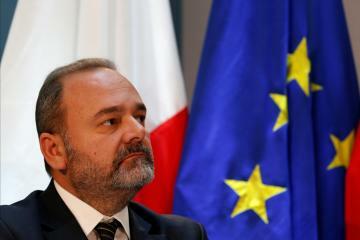 "Like most seasoned criminal lawyers in Malta, I know who some of the suspects in the case are. The particular pub you mention welcomes patrons from all walks of life, including other politicians. "I do not, however, recall having any discussions with any of these individuals, and have definitely never had any meetings with them. Anything else is baseless rumour and speculation,” Dr Cardona said. A team from France 2 and Radio France visited the bar and were told by a patron, whose identity has been established by the 'Daphne Project', that Dr Cardona "drinks with us here" on weekends. 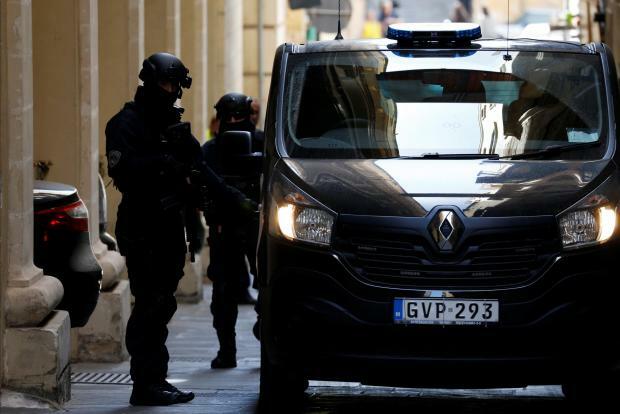 One of the suspects had also visited the bar the night before his arrest in Marsa on December 4, 2017, the eyewitness told the undercover journalist who recorded the encounter. Dr Cardona was not present that night, he said. “One of them came here on Sunday night and on Monday they catch him... in Marsa,” the eyewitness said. This witness did not identify which of the suspects he had seen with Dr Cardona, or who the unnamed suspect met the night before his arrest. The second witness gave more details, and was introduced to the Daphne Project by a high-ranking member of the Nationalist Opposition who knew Ms Caruana Galizia. Both the witness and his introducer said they did not want to be identified for their own safety. The patron, who described himself as a regular at the bar, said he saw the suspect Alfred Degiorgio and Dr Cardona at the bar one day in November, some time between 4.30pm and 6.15pm. This witness said Dr Cardona and Mr Degiorgio spoke for some time and, at one point, he claimed he spotted them walking outside together. This was the only time he had seen the two together, the second eyewitness said. Contacted by Times of Malta, the bar owner declined to comment on the movements of any of his clients. The allegations about Dr Cardona's presence at the bar are known to the family of Ms Caruana Galizia, who in turn, informed Magistrate Anthony Vella. Magistrate Vella declined to comment when contacted about the matter. Questioned earlier this month about the allegation, Prime Minister Joseph Muscat simply replied: “Publish that information”. In a reaction, Dr Cardona said the reports published about him are clearly speculative, based on hearsay which have no foundation of truth. "The implication is clear and highly defamatory," he said in a Facebook post. Dr Cardona said he welcomed the fact that the magistrate was informed on this "speculative" report which seems to be pushed by what media are identifying as "a high-ranking member of the Nationalist Opposition." "It would be interesting had the high-ranking member of the Nationalist Opposition told the reporters who and how many high-ranking members of the Opposition frequent the mentioned bar. It would had also been appropriate for the same source to tell them how a high-ranking member of the Nationalist Opposition was defence lawyer of one the brothers who stand accused with Daphne Caruana Galizia’s murder." Later, Dr Cardona's ministry published the replies he gave Reuters when asked about the matter. (See pdf link below).